With summer winding down here in Edmonton, Alberta, it’s time to say goodbye to party season and turn our attention to more practical matters. The back to school season signals a shift towards more pragmatic issues and preparing for a long, harsh winter. As Canadians, it’s in our nature to change gears as the weather cools, so when you’re making your autumn to-do list, be sure to add ‘getting trees ready for winter’ to be sure the work gets done under the wire. Trees are subject to the laws of nature and the perils of freezing weather, so it’s not really something you can put off. Depending on how many trees you have on your property, it may be in your best interest to hire a professional arborist in Edmonton to prune your trees and prepare them for the freezing weather to come. Deciduous trees are stunning in the spring when they sprout forth colourful flowers and delicious fruit, but this beauty is correlated to fragility and if they’re carefully pruned in the late fall, they’ll be primed to grow like mad come April and May. As with almost everything in life, timing is massively important. If you prune the trees too early, they may produce young buds before winter sets in. The new growth will surely be ravaged by winter storms and will not be in good condition come spring. The trick is to prune the trees once all of the leaves have fallen off and the tree is, in a sense, going to sleep. It can save its resources and start from zero in the spring, rather than waking to heinous injuries. 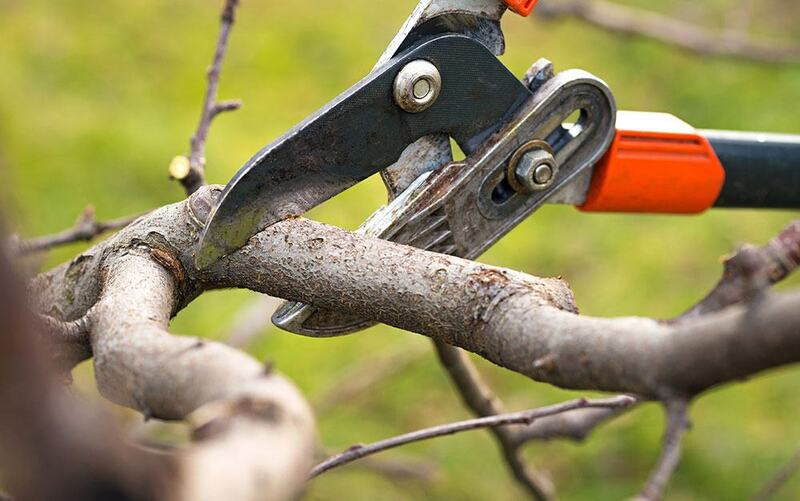 Deciduous trees can be left bare, and if tree pruning services are administered at the right time, then it’s all good. Coniferous trees, on the other hand, sometimes present unique cases. For the most part, hearty evergreens – which dominate central and northern Alberta – thrive in the winter time, however, certain types of young shrubs and coniferous trees need to be protected by those brown burlap sacks you see. 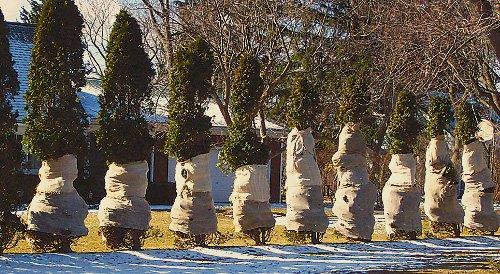 Ice, wind and hungry deer can severely inhibit the life of a young evergreen, so for the first few years, it’s prudent to wrap them, despite the undeniable fact that burlap is anything but attractive to look at. Once your saplings or seedlings are looking healthy and well-established, however, ditch the burlap, your neighbours will appreciate it (and so will you). Because we’ve chosen to live in a harsh climate, our lives are exposed to the unpredictable effects of cold, stormy winters. If you prep a tree for winter this year and it still gets shredded and destroyed by an ice-storm, fret not. No doubt, the death of a tree you’re fond of can be very sad, but it follows the cycles of death and rebirth that are part of the beauty of nature, and of our own lives. Our stump removal experts can help rejuvenate the land and strategize over what type of new tree you can get and where to place it. It may seem fickle to replace a beloved tree so fast, but change is part of life: embrace it.